The use of machine learning, robotics and supercomputing to accelerate the process of finding new high-performance and low-cost energy materials is central to technology development around the world. Currently, the process of developing and commercialising new materials is costly and can take as long as two decades. The Clean Energy Materials Innovation Challenge aims to change that, delivering new materials by identifying, modelling, simulating, synthesizing and testing in less than a tenth of that timeframe. 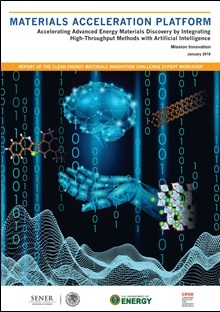 On 25th January in Mexico City, the Clean Energy Materials Innovation Challenge released a landmark report, entitled “Materials Acceleration Platform: Accelerating Advanced Energy Materials Discovery by Integrating High-Throughput Methods with Artificial Intelligence.” The Report is the result of a workshop in September 2017 that convened more than 55 leading scientists from around the world to define the challenges, opportunities, and fundamental research needs related to materials discovery. The Expert Workshop Report calls for integrating material sciences with next-generation, high performance computing, artificial intelligence (machine learning) and robotics to accelerate the pace of materials discovery. Among the recommendations are the development of “self-driving/autonomous laboratories”, “smart and super-fast materials factories” that automatically design, perform and interpret experiments in the quest of new high-performance, low cost energy materials. The report makes six recommendations that will lead to what it calls “Materials Acceleration Platforms” (MAPS) that would integrate intelligent screening and simulations coupled with automated robotic machinery with rapid synthesis and characterization of materials to accelerate the pace of discovery. The platforms would help researchers transition from a largely trial-and-error method of materials discovery to one of ‘inverse design,’ in which materials with desired properties could be easily searched for and developed. Sophisticated data infrastructure and interchange platforms. 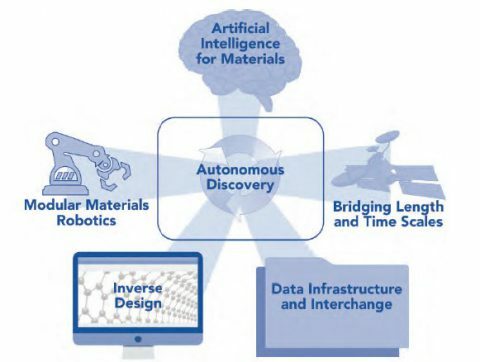 The resulting “autonomous materials discovery factories” could serve multiple and diverse international research groups in academia and industry in their materials discovery pipeline. The report emphasised the need to develop multidisciplinary international teams of scientists and engineers with expertise in chemistry, materials sciences, advanced computing, robotics and AI, among other disciplines. The first workshop, on structural materials and 3D printing, will be held in Hamilton, Ontario on 15th and 16th March 2018, as Canada advances the vision of Innovation Challenge 6 under Workshop Executive Co-Chairs, Dr. Mark S. Kozdras and Dr Hermann Tribukait. The second will be held in early May 2018 gathering business and technical executives of leading companies interested in this Innovation Challenge in Toronto, Ontario under the same executive team. More details will be provided on the Mission Innovation (MI) website soon. The involvement of leading companies is encouraged, as highlighted by Dr. Hermann Tribukait, Mexico’s Energy Innovation Funds Ambassador, Workshop Executive Chair and report co-author in his speech at the report launch. “Private-sector stakeholders who join this initiative early will presumably have a first-mover advantage, that is, they will cultivate the know-how to adjust and gain a larger share of the growing benefits from these new technologies,” said Dr. Tribukait. Deep international collaborations and long-term support are necessary to make these Materials Acceleration Platforms (MAPs) a reality. The report, and the integrated materials acceleration approach it proposes, is intended to provide policy-makers and other stakeholders with direction and ideas for research investments and for soliciting and supporting projects that take advantage of these opportunities. 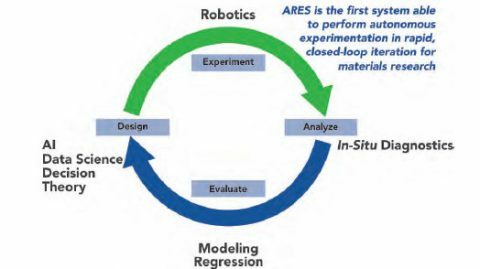 For example, MI members and stakeholders may choose to draw on the R&D opportunities presented and the scientific roadmap offered in the Report to launch collaborative research and technology development initiatives, align, or even refocus their national programs to incorporate these research directions. They may also invest in these R&D opportunities on their own, perhaps by launching Requests for Applications, or pursue these efforts collaboratively with other MI members via bilateral or even multilateral agreements. These collaborations may be developed in consortia with the private sector and other stakeholders. The report concludes that the development of MAPS will result in the dramatic acceleration of materials discovery and development, and the effect on clean energy technologies will generate widespread social and economic benefits, transforming industries beyond the energy sector.